When kids make their own valentines, it makes them extra special. You make these using finished paintings made by your kids. I think watercolors work best. 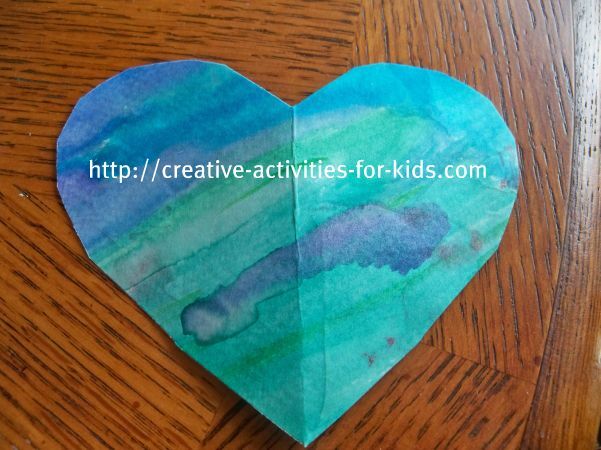 Fold the painting in half and cut a half a heart on the fold. When you are done have your child personalize them. You could also punch holes in the hearts and run string through them and use them as decorations. Did you like making the valentines? Try more crafts here!